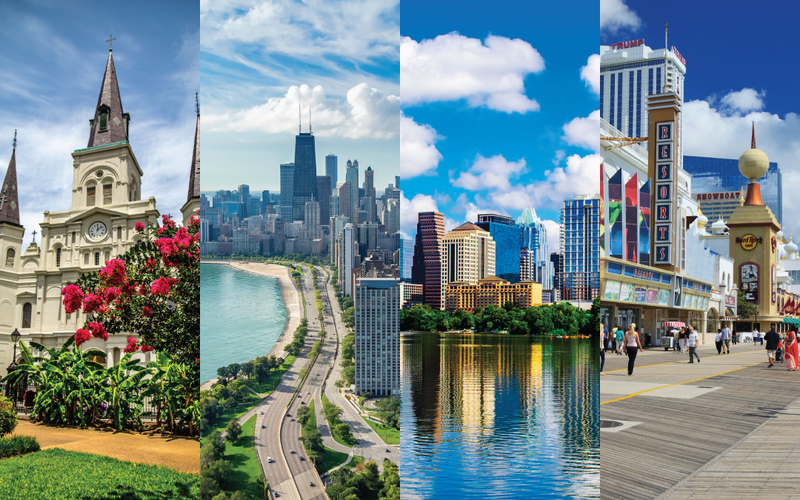 ARTBA’s four annual regional meetings this fall are being expanded to include more networking opportunities and content developed by the Industry Leader Development Council (ILDC), pursuant to the direction approved by the ARTBA Board last fall. Of course, the Southern, Western, Central and Northeast meetings will continue to include transportation construction market and project intelligence, presidential and congressional election previews, and federal transportation policy, regulatory and safety updates that have been a core part of the program over the years. The four meetings will help ILDP participants, and any other interested ARTBA members, continue their growth and engagement in industry leadership and ARTBA’s advocacy core mission. ILDP Chair Ponch Frank, of Ranger Construction; Vice Chair Jihane Fazio of AECOM, and four regional chairs and four regional vice chairs planned the fall meeting agendas this past January during a meeting in Jacksonville, Fla.
For more information about this year’s regional meetings, please contact ARTBA’s Brie Johnson.